The E-PRO-BOX is equipped with an extra large battery compartment which can carry gel cells up to 36000 mAh for charging purposes. 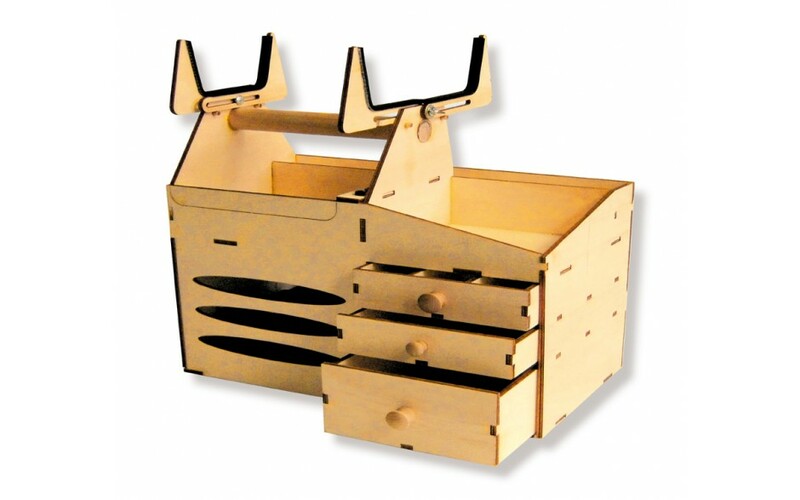 As in all our field box products, all parts are precision laser cut from 1/4” (6 mm) SIG plywood. Large, adjustable cradle on top to hold airplanes, boats etc.